Therefore a wise prince ought to hold a third course by choosing the wise men in his state, and giving to them only the liberty of speaking the truth to him, and then only of those things of which he inquires, and of none others; but he ought to question them upon everything, and listen to their opinions, and afterwards form his own conclusions. With these councilors, separately and collectively, he ought to carry himself in such a way that each of them should know that, the more freely he shall speak, the more he shall be preferred; outside of these, he should listen to no one, pursue the thing resolved on, and be steadfast in his resolutions. He who does otherwise is either overthrown by flatterers, or is so often changed by varying opinions that he falls into contempt. Portrait of Maximillian I by Albrecht Dürer Attribution: [Public domain or Public domain], via Wikimedia Commons. I wish on this subject to adduce a modern example. 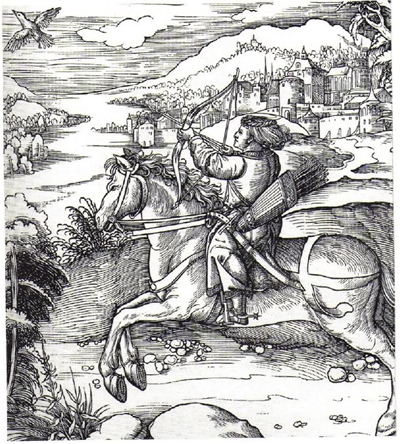 Fra Luca, the man of affairs to Maximilian, the present emperor, speaking of his majesty, said: He consulted with no one, yet never got his own way in anything. This arose because of his following a practice the opposite to the above; for the emperor is a secretive man—he does not communicate his designs to any one, nor does he receive opinions on them. But as in carrying them into effect they become revealed and known, they are at once obstructed by those men whom he has around him, and he, being pliant, is diverted from them. Hence it follows that those things he does one day he undoes the next, and no one ever understands what he wishes or intends to do, and no one can rely on his resolutions. Alvarez (p 142, note 3) identifies this as Bishop Rinaldi Luca. 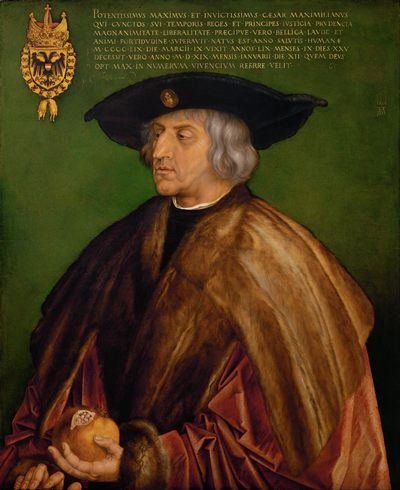 Maximilian I Habsburg (1459 1519), Holy Roman Emperor. He may have been indecisive, but he showed good taste in having his portrait painted by the great Albrecht Dürer. He also managed to make an exceedingly good marriage for his son Philip the Handsome to Joanna of Castile. Their son would, therefore, rule not only the Empire, as Charles V, but also Castile, which included much of the new world. A prince, therefore, ought always to take counsel, but only when he wishes and not when others wish; he ought rather to discourage everyone from offering advice unless he asks it; but, however, he ought to be a constant inquirer, and afterwards a patient listener concerning the things of which he inquired; also, on learning that any one, on any consideration, has not told him the truth, he should let his anger be felt. But if a prince who is not inexperienced should take counsel from more than one he will never get united counsels, nor will he know how to unite them. Each of the counselors will think of his own interests, and the prince will not know how to control them or to see through them. And they are not to found otherwise, because men will always prove untrue to you unless they are kept honest by constraint. Therefore it must be inferred that good counsels, whence-so-ever they come, are born of the wisdom of the prince, and not the wisdom of the prince from good counsels. This chapter adds detail to the discussion in Chapter 19, on how the prince should avoid contempt on account of being thought to be frivolous or irresolute. Here Machiavelli contends that a prince must not only (A) avoid yes-men, but (B) rely on trusted advisors and not allow himself to be talked out of his considered course of action. Note also Machiavelli’s interesting point that because a prince’s counselors are, by human nature, biased in their own interests, a prince cannot get unanimous advice. The prince must learn how to pick his way through an assortment of partially self-serving recommendations to arrive at a sound decision. He will succeed or fail based, not on the quality of his advisors, but on the sagacity with which he weighs his councilors and their advice, in the context of the situation.